Coffee particles and oil can coat your hopper, burrs, and chamber. As the oils coat the inside of your grinder, they get old and will start to give your espresso an unpleasant taste – no matter how delicious your beans may be! 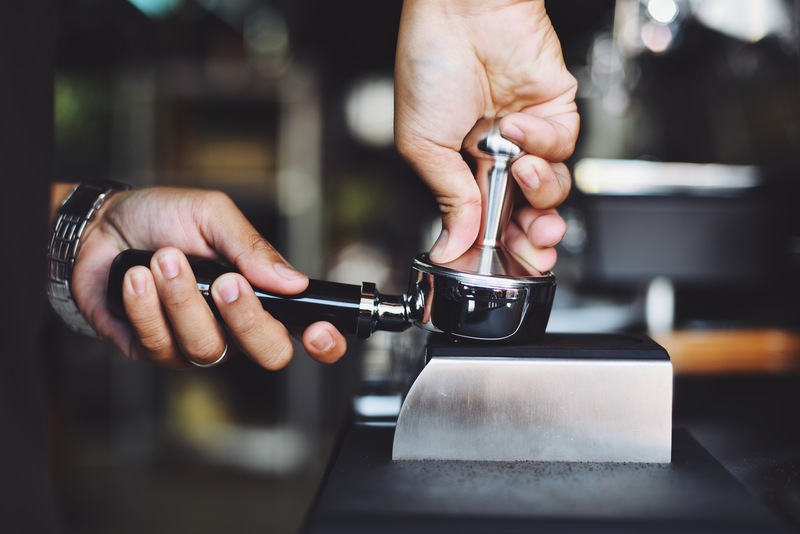 It’s important to clean your espresso coffee grinder to maintain a consistent particle size and increase the lifespan of your grinder by cleaning regularly. This guide will help you with general maintenance of your burr grinder – for more help servicing your grinder please call our service team at 1-888-273-8684. At the end of every day, turn off your machine, remove beans from the hopper and store them in an airtight container. Use a paper towel to wipe the inside of the hopper, cleaning off coffee oils and particles. This will make deep-cleaning your grinder easier, since there will be less build-up to clean later. The following 5 steps should be done every 2 weeks, and be sure to turn off your machine before maintenance. 1. IMPORTANT: If you have a removable hopper, remove the hopper and grind chamber. Wipe these pieces clean with a lint-free cloth (or coffee filter!). Mild unscented soap with warm water will help remove any stubborn oil residue –be sure to rinse thoroughly. 2. Open up the grinder. Usually, two screws will hold the outer burr, gently twist to remove. Dust off both burrs with a brush or lint-free cloth. A compressed air can, toothpick or vacuum can sometimes be useful here. 3. Reassemble your coffee grinder. Once all the pieces are dry and clean, reassemble your grinder and plug back into a power source. 4. 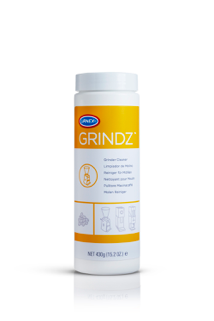 Use grinder cleaning tablets. A product like the Urnex Grindz tablets works great because they’re safe and easy to use. These tablets use no harsh chemicals and will help to get into all the tight spaces of your grinder. Throw a handful of tablets in your grinder, grind and discard. Repeat this process twice to ensure all coffee particles are flushed. 5. Double check your grind settings. Once you’re finished cleaning, ensure your grinder is ready for use by refreshing your grind settings.